Zenith is pleased to announce our Environmental Management System has now been accredited to the new ISO 14001:2015 standards. Zenith is the 1st Well Management company to be accredited to the new ISO 14001:2015 standards. An Aberdeen based well management firm has successfully completed the plug and abandonment of a platform well located offshore Italy. Zenith Energy have been awarded a six figure contract to provide well engineering and project management service to London based operator, marking another first for the company. Independent well management firm Zenith Energy has achieved a drilling first for the firm by completing of a UK land well after being appointed operator late last year. Zenith Energy has been awarded a seven-figure contract by London-based Terrain Energy to provide complete well management services for a UK land well. We are pleased to announce that Zenith has been awarded additional HPHT training by TOTAL. We’d like to welcome our new Senior Drilling Engineer, Kieron Ubhi, to our team! Staff at Zenith Energy recently completed a sponsored run to raise money for a local Aberdeen charity - Befriend a Child. Zenith Energy takes home Business Success Under Three Years award from the Elevator Awards 2015. Zenith Energy shortlisted for Business Success Under Three Years. Zenith Energy has initiated drilling operations at Europa Oil & Gas’ operated Kiln Lane well, North-east Lincolnshire. Zenith Energy’s consultancy services has secured three new contracts with three global operators. 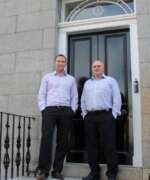 Zenith Energy has moved to 3 Bon Accord Square to accommodate growing work force due to recent contract wins. Zenith Energy is delighted to welcome Hugh Scott, Senior Drilling Engineer, to the team. Zenith Energy has promoted Chris Collie to Operations Director to oversee and develop our services and expanding workforce of 14.